She was referencing the controversial words of Portnow who last year said that women needed to “step up” after coming under fire for a lack of gender diversity at the awards. 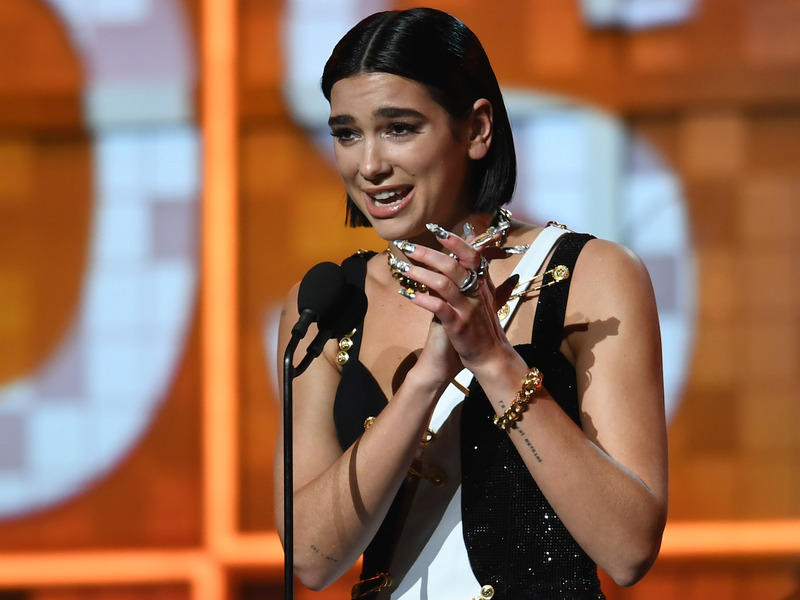 British singer Dua Lipa took home two trophies at last night’s Grammy Awards after winning Best Dance Recording for her and Silk City’s “Electricity” and Best New Artist. Last year, Portnow said that women needed to “step up” in order to establish their place in the music industry. “It has to begin with … women who have the creativity in their hearts and souls, who want to be musicians, who want to be engineers, producers, and want to be part of the industry on the executive level,” he said at the time. The academy has also been criticized for lack of ethnic diversity in the past and has a self-confessed “problem with the hip-hop community,” who have complained that its difficult for them to win awards outside their genre. Last night, Drake too took the opportunity to bash the awards during his acceptance speech, saying: “This is a business where sometimes it’s up to a bunch of people who might not understand what a mixed-race kid from Canada has to say or a fly Spanish girl from New York or anybody else, or a brother from Houston. Drake could then be heard saying, “But…” — presumably about to continue his tirade — when the broadcast suddenly cut to an ad break.